Hire This Award-Winning Celebrity Speaker Now!! NFL Super Bowl Champion. Passionate. Entertaining. Transformative. At 6’5’’, Roland Williams' physical size and stature are almost as impressive as his ability to awe and inspire wide ranges of audiences from around the world. From Fortune 100 executives to an excitable group of 7th graders, Roland’s legendary storytelling, animation and genuine approach captivate all who listen. 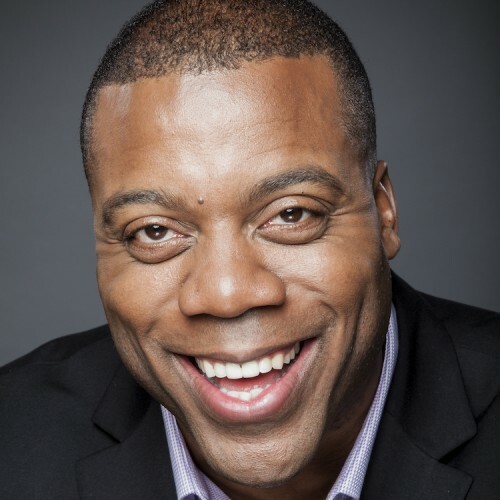 From the amazing journey of his childhood to the powerful lessons learned during his impressive NFL football career, when Roland finishes his keynote, your audience will be celebrating your decision to bring a speaker that can amaze, amuse and astonish while delivering an impactful program full of information audience members can use immediately. Meeting and event planners, have no fear. As a NFL Super Bowl Champion, Roland knows first hand about the hard-work and focus required to deliver excellence at whatever he does. Roland is competitive, enjoys studying and is passionately committed to doing whatever it takes to make 100% sure your audience gets your key theme or message. So get ready–Roland Williams will deliver. Find out more about Roland Williams, NFL Super Bowl Champion at http://www.RolandWilliams.com.